Your heating system is one of the most complex mechanisms inside your home that often malfunctions of breaks down. 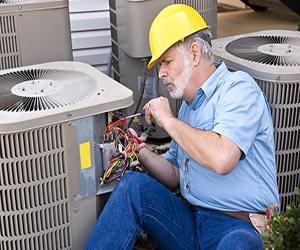 When you need heater repair services, trust only experienced heating contractors. These experts are fully trained and equipped to help bring comfort back to your home. Virginia Beach’s HVAC technicians can perform minor repairs efficiently to help clients avoid major issues down the road. However, finding the right experts is not as easy as ABC. As a home or office owner, you must be mindful of the qualifications that your potential HVAC repair technicians need to meet. You should choose the most qualified company in the heating and cooling industry. At the beginning of the heating season in Virginia Beach, HVAC contractors will play a critical role in making sure that your heater will work properly. Once it is up and running, you will realize that getting your furnace repaired by a heater repair professional comes with many benefits. The same is true of hiring heating contractors to keep your heater well maintained. Ask heating contractors about their license, bond, and insurance. It pays off to be knowledgeable about license and insurance requirements for heating contractors. Potential technicians may be mandated to meet required minimum education level and on-the-job experience before working for HVAC companies. Joining a team of licensed heating contractors also requires passing written exams. Keeping these qualifications in mind can help you make the right hiring choices. To maintain their license, Virginia Beach HVAC contractors are also required to meet a minimum level of bonding and amount of insurance coverage. So, before deciding on a heating repair service provider, ask for liability insurance. This could help protect you in the event of accidental damage or injury during the heater repair process. Many Virginia Beach HVAC contractors keep a list of recent customers. It is best if you could obtain copies from your potential contractors. It would be a great help if you can call some of these references to inquire about their experiences. You may ask them if the completion of the heating contractors’ projects and pricing are timely and reasonable. If your potential HVAC repair providers do not have their lists of past customers, you may solicit referrals for heating contractors from people you know. Your friends, neighbors, and co-workers might know of HVAC companies that offer quality work at a fair price within Virginia Beach. The amount you will be paying for a heater repair service could be one of the biggest deciding factors you need to consider. However, heating contractors’ pricing strategies may vary widely. The cost of a service may not be the same from one HVAC service provider to another. This is where your decision-making skills will be tested. As you compare the HVAC companies’ proposals, start with their projected heating repair costs. Choosing the company that offers the lowest price for a service may not be a wise move. This offer might provide an inefficient HVAC repair service, and you might just end up with higher utility bills. Aside from documenting their projects’ costs, HVAC companies also include their services’ overall scope and completion dates in their estimates. Heating contractors may even present to you the warranties and energy efficiency that come with their offers. Keep these factors in mind, and consider getting estimates from at least three different service providers. Ask about the heating system brands they can work on. However, some heating contractors are only knowledgeable of heating systems of a specific brand. So, it is important to ask prospective Virginia Beach’s HVAC companies about the manufacturers or equipment brands they are trained to work on. Limiting your choices to HVAC companies that specialize in your heating system’s brand will greatly help in making your decision. If you cannot find one that focuses on just your system’s brand, employ the services of a heater repair provider that has extensive experience in repairing heating systems of any make and model. Ask about discounts and other specials. Purchasing a heating system can be costly. Keeping it well maintained or getting it repaired by heating contractors can add up to the expense. If your equipment is energy-efficient, you may keep your expenses down by asking HVAC companies for available rebates. A certain percentage of your payment for an HVAC repair service could be refunded to you. Your potential heating contractors must also be able to show you calculations of savings for your equipment. The HVAC companies should know if you are saving money on utility bills with your heating system. There are certain brands that qualify as ENERGY STAR products, and your service provider must be aware of this. If your unit qualifies as one but your electrical bill is increasing, a contractor can tell what needs repair. When Do You Need Our Services? Heat is distributed unevenly. You may be wondering why there are some cold areas in your house even though your heater is running. It is highly likely that your furnace is worn out and that it needs to be repaired. Hiring professional technicians can help address uneven heat distribution. They can check your heating system’s ducts, pipes, and vents and address the issue of uneven heating efficiently. Learn more about causes of temperature imbalances here. Strange noises are coming from the unit. The sounds that your heating system makes could be telling you that it is high time for repairs. A component or two may have been broken, causing the noises that will just annoy you until you turn the unit off. Contacting a well-trained contractor for service can help you get to the root of those screeching sounds. Your utility bills are increasing. If there is no significant change in temperature but there is an increase in your energy bills, it can be a warning sign. You might need heating repair because the system can’t keep up with the demands on it. It’s possible that your heater is defective. But before purchasing a new one, have it checked by a professional repairman first. If you are a resident of Virginia Beach, Smiley’s Heating & Cooling is your go-to heater repair provider. Our well-equipped employees have been striving for customers’ comfort and confidence in our services for more than 30 years. We are punctual, caring, and professional. Smiley’s Heating & Cooling is a respected name in the industry, and we offer the factory warranties on new equipment. We concentrate on what we do best, and we operate with honesty and integrity. For all your heating repair needs, you can’t go wrong with our team. Home and office owners in Virginia Beach put their trust in our services; you can, too. Get in touch with us today! Click here to learn more about our heating services.